Genting Highlands, 2K meters above sea level. A magnificent city on the hilltop, is but a mere 50km from Kuala Lumpur. It offers a cool respite from the hustle and bustle of the city capital. Crisp invigorating mountain air complemented by majestic scenery spreads out before your eyes. Lush green tropical rainforest shrouded in a veil of perpetual mist makes it hard to believe that you are just minutes away from the sweltering equatorial heat and the ever dusty city. Here, consistent temperatures between 16 and 23 degrees provide natural air conditioning. 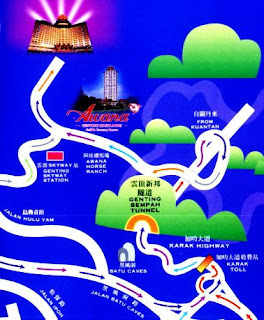 Among other attractions is the Genting Skyway, the longest cable car in South East Asia. 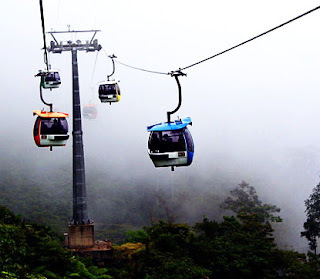 You will be able to enjoy the beautiful scenery of the mountains and valleys from the cable car. 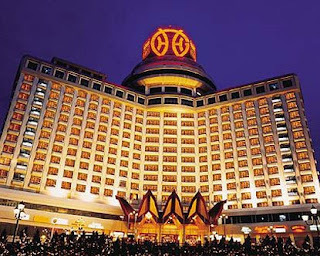 There are six hotels with more than 10,000 guest rooms and suites for you to choose from, and the First World hotel is the biggest hotel in the world. 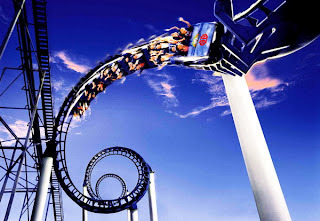 The Indoor Theme Park is another crowd-puller. 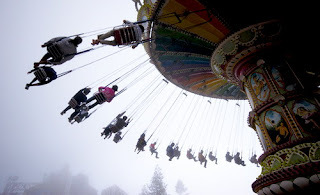 As a modern, integrated family-friendly resort, Genting Highlands has more than 60 fun rides at its indoor and outdoor theme parks. 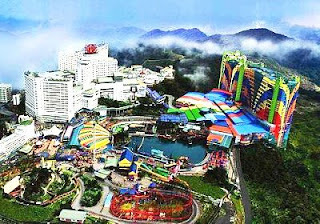 Asia's only free fall sky diving simulator called Sky Venture is located here. Experience the thrill of free-falling under the guidance of qualified instructors. For those with a penchant for the nature, try jungle trekking and horse riding at Awana ranch, while golf enthusiasts will find the 18-hole golf course in Awana Golf and Country Resort a challenging course. The cool weather makes this course one of the favourites among golfers and many come back here. Take the express bus from major bus terminals such as Puduraya, Pasar Rakyat, KL Sentral or Terminal PUTRA LRT Gombak. The one way fare will cost you RM7.50 for adult and RM5.80 for children. Going up by car or taxi is convenient and hassle free as the roads up the mountains are wide and well maintained. If you have your own car, do a slow drive up and enjoy the beautiful scenery and cool air up the mountains.